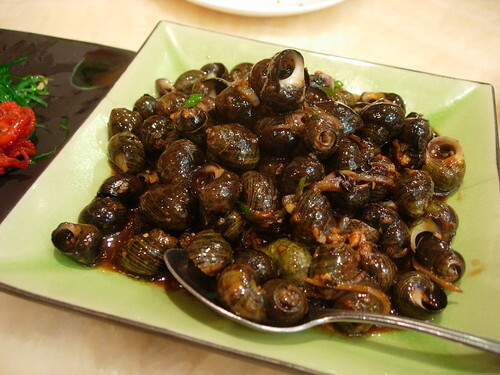 Snails with Black Bean Sauce, originally uploaded by wEnDaLicious. This was taken (and eaten) at Lucky Eight Restaurant on 52nd and 8th. Thanks to wEnDaLicious for adding it to the BViB photo pool on flickr.com. Check out her photostream for an amazing array of food around the City. She eats well!